The South has always been celebrated for its food. From collard greens and okra to heaping plates of biscuits and gravy, Southern food is as much a state of mind as it is a matter of geography. Combining the study of food culture with gender studies, Elizabeth Engelhardt, associate professor of American studies, explores the many hidden culinary contours of Southern life below and beyond the Mason-Dixon Line. Digging deep into community cookbooks, letters, diaries, and other archival materials, Engelhardt describes the five moments in the Southern food story: Moonshine, biscuits versus cornbread, girls’ tomato clubs, pellagra as depicted in mill literature, and cookbooks as means of communication. 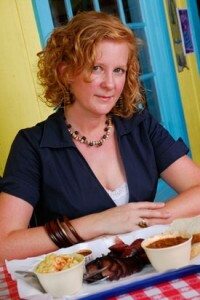 Engelhardt recently sat down with ShelfLife@Texas to discuss her new book “A Mess of Greens: Southern Gender and Southern Food” (University of Georgia Press, 2011), which she will be presenting at the Texas Book Festival this Saturday at 11:15 a.m. at the Capitol. Go to this website for more details. How can the choice of serving cornbread or biscuits say a lot about a woman’s social standing? As I was finishing my first book on Appalachia “Tangled Roots of Feminism,” I kept running across these references to something called the “Beaten Biscuit Crusade.” This was when judgments about Appalachian women were based solely on whether they made biscuits or cornbread for their families. And these judgments extended to a woman’s class, morals, hygiene and even religion. Biscuit baking demonstrated class consciousness, the ability to afford specialized ingredients, marble-top counters and stoves. Cornbread, however, symbolized ignorance, disease and poverty. What caused this rift between cornbread and biscuits? In the late 1800s, single women with college educations from the Northeast, Kentucky and other parts of the non-mountain South were coming into Appalachia to build communities and make lives for themselves. One of the sources of tension between the newcomers and the women who had been there a long time was over education reform. But the more I looked into it, the more I realized the women who were coming into that region wanted to start by reforming the food that Appalachian women were cooking. With the idea of helping the less fortunate, they advocated better cooking standards and public health concerns began to surface about diet-based diseases. Cornbread, which was made from locally milled corn and cooked over an open fire, became a target. Ironically the beaten biscuit recipe, which uses finely milled white flower and very little milk, may have been less nutritious than the cornbread local women were cooking for their families back in the 1800s. How did Tomato Clubs empower young women back in the early 1900s? In 1910, Marie Samuella Cromer, a young rural schoolteacher in the western South Carolina town of Aiken, organized a girls’ tomato club so that the girls would “not learn simply how to grow better and more perfect tomatoes, but how to grow better and more perfect women.” The tomato clubs and the women who organized them wanted southern food to transform Southern society—but not from the top down. The girls had to plant one-tenth of an acre of tomatoes, which would provide more tomatoes than they or their families could use in a year. This forced them to learn how to can, market and sell them – and they could do whatever they want with the money. Glass jars were scarce, so they had to use big pieces of equipment to can tomatoes in tin. In order to finish a year in the Tomato Club, they had to write a report about how they harvested, presented and sold their tomatoes. It was a real lesson in technology, science and entrepreneurship. What chapter of the Southern food story often goes unnoticed? When we think about Southern food, we often think of abundance. But there’s also a story about lack of access, the absence of healthy eating, the vanished pieces. Back in the 1900s, pellagra – a disease caused by a vitamin-B deficiency – sickened tens of thousands of Southerners in poor communities. Described as the disease of the four Ds: dermatitis, diarrhea, dementia and death – pellagra made many of its sufferers suicidal or dangerous. It struck people in the rural South whose diets typically consisted of the “three Ms,” meat, meal and molasses. They were often described as “mill type ” or “white trash.” Behind the stereotypes hid a hungry, tired and ill version of the South that even today is difficult to understand. I hope people leave the book with a resolution to ask family members (however they define family) about their own food stories. And I hope they learn a little about what is behind the final plate on the table, the messages in every meal about who we are as women, men, people of different races and ethnicities, and people of different classes. I hope readers join me in keeping the conversation going about the collective, collaborative and changing southern food stories that are all around us. Well, it’s early fall, and I come from a county in the North Carolina mountains that is famous for its heirloom apples. This time of year, I find myself most longing for fried apples, homemade applesauce, and apple spice cake. But only if the apples have come from one of those bent, almost forgotten, but still glorious trees on the edge of an old home site, where the fireplace is all that’s left standing but the bees have done their work and the apples are ugly but amazing. Book lovers, foodies, artists and scholars will partake in an annual rite of fall here in Austin: The Texas Book Festival. The 16th annual Texas Book Festival will take place in and around the Texas State Capitol and nearby venues on Oct. 22-23. The lineup includes more than 250 authors, an eclectic mix of top literary names, bestselling novelists, political and nonfiction notables, cookbook superstars, Texas writers, children’s authors and promising newcomers. In “Greenback Planet” (University of Texas Press, Oct. 2011), Brands recounts key episodes in U.S. monetary history, from the Civil War debate over fiat money (greenbacks) to the recent worldwide financial crisis. He concludes with a sobering dissection of the 2008 world financial debacle, which exposed the power – and the enormous risks – of the dollar’s worldwide reign. In “The Murder of Jim Fisk” (Anchor, May 2011), Brands traces Fisk’s extraordinary downfall, bringing to life New York’s Gilded Age and some of its legendary players, including Boss William Tweed, Cornelius Vanderbilt, and the railroad tycoon Jay Gould. Go to the Texas Book Festival website for the full summary of both books. 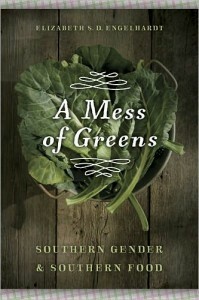 Engelhardt’s “A Mess of Greens: Southern Gender and Southern Food” (University of Georgia Press, Sept. 2011) offers a different perspective, taking into account industrialization, environmental degradation, and women’s increased role in the work force, all of which caused massive economic and social changes. Engelhardt reveals a broad middle of Southerners that included poor whites, farm families, and middle- and working-class African Americans, for whom the stakes of what counted as Southern food were very high. Go to the Texas Book Festival website for the full summary. What do Quentin Tarantino and William Shakespeare have in common? They both write their men like men and their women like men. How can you tell when someone’s being straight with you? They use more verbs, more details (numbers, dates, figures) and more personal pronouns (I, me, etc.). And for the liars: more positive emotion words. These are only a few of the insights found in “The Secret Life of Pronouns: What Our Words Say About Us” (Bloombsbury, Aug. 2011), James W. Pennebaker’s far-ranging work on the use of life’s “forgettable words” and their many hidden meanings. Go to the Texas Book Festival website for the full summary. Check out the official book festival website for a complete schedule of book signings, panel discussions, author interviews, cooking demonstrations and more.